Simple but so pretty love the hat. i really love that look. Very nice shirt. Great day. very nice shirt and pants! You look gorgeous and love the hat! Schlicht und einfach schön und dank dem Hut trotzdem was besonderes. Mag ich. Great outfit! I love your hat and shoes! Sorry being late. First things first. Lovely outfit. Delicate and kinda romantic. Love it. Of course we can follow each other, but just on GFC, I am not on bloglovin' yet, though. Let me know if that would be fine with you sweetie. You are sooo cute!! I like the shirt! So simply and stylish! lovin the look! love the shoes too! 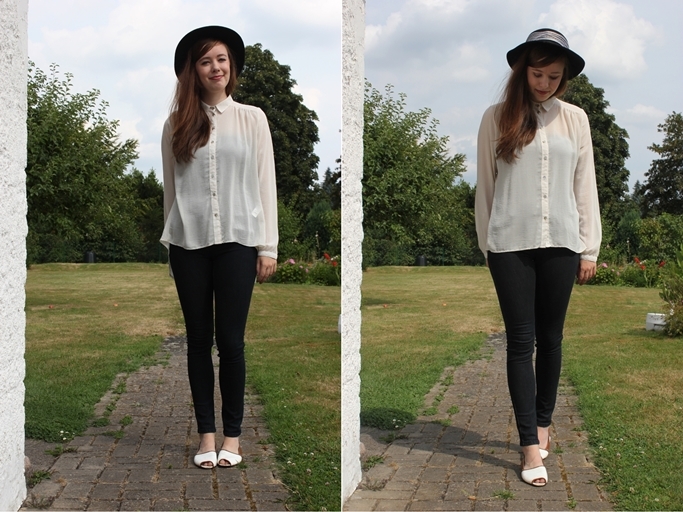 Adorable, the blouse and hat are perfect! Check out my new post: 'Tartan Crazy & A Casio Watch! You look perfect dear, a real lady! 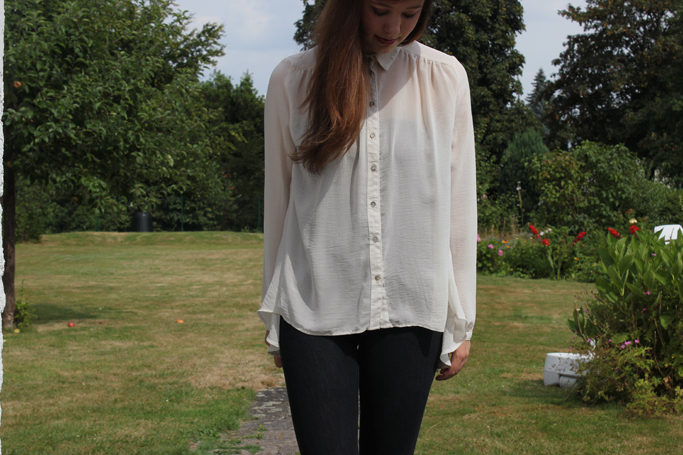 Oh really cute and pretty utfit, I love it your blouse is so pretty. You look like a doll. You're so beautiful. I love the hat. 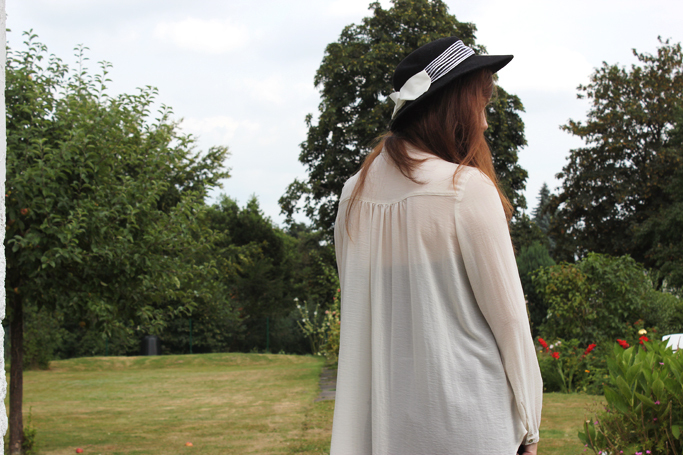 You look awesome :) Love this cute hat!